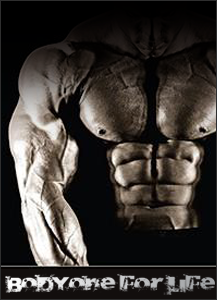 Body one 100% whey protein is a tasteful high quality protein supplement. Body one use only the finest raw material, which is refined via the latest technique available. Micro and ultrafiltration at low temperatures fabricates a pure whey protein with a high contend of essential amino acid. Especially it contains high percent of Branched Amino Acid (BCAA), which result in building and retaining muscle tissue. So it has great effect for body builders. Body one 100% whey protein also contains high quality and percent of glutamine (a muscle enhancer, endurance builder, and muscle deterioration reducer ), which will help one's muscles recover and grow faster by bring up the levels of protein. Body one 100% whey protein has many good natural milk protein ingredients, such as Alpha-laktalbumin, beta-laktoglobulin,glycomakropeptides, imunglobuliner, lactoferrin and laktoperoxsidase. It also has add aminogen ( a patented digestive enzyme ), which can actively helps the body to break down, digest and absorb protein optimally. With part whey protein hydrolyzed, Body1 100% whey protein can be absorbed more easily. With its low carbohydrates and low fat contend, Bodyone 100% whey protein is an ideal protein supplement for everyone with an active health conscious lifestyle. If you wish to limit your intake of carbohydrates in your diet, you should choose Body1 100% whey protein. It has a complete amino acid profiles, high level glutamine and BCAA, and it is nutritional boosts of your body. RECOMMENDED USE: take each servings (60 gram) mixed with 200~400 ml ice cold water, milk or juice in a shaker. Put on the shaper top and shake slightly. Let the shaker rest for 1 minute and it is ready for serve. NOTE: To maintain product freshness, store in a cool, dry place. Website Technical Architecture：BODY1 SUPPLMENT INC. Copyright 2001 - 2010 WWW.BODY1SUPPLEMENT.COM All rights reserved.